Financial matters can be an uncomfortable or touchy subject to discuss with friends and loved ones. However, if you’re about to walk down the aisle with someone, it’s important to have an honest discussion about credit. After all, “till death do us part,” means you’re essentially inheriting each other’s credit for that long, too. Since you have chosen to marry this person, however, chances are that you have a good idea of their preferred communication style. Use this to your advantage when you decide to bring up this all-important discussion. If you’re still uneasy about approaching the subject, here are some tips and guidelines to help. While this scenario isn’t ideal for everyone, it works for some couples. If you’re curious about your future spouse’s credit history and outlook on credit, just ask them. You may be surprised to realize that they’re relieved to have the conversation as well. At the end of the day, you need to know where each of you stand. Many people who practice specific religions and wish to get married in their preferred place of worship may be required to undergo a “marriage course.” If this is the case for you and your soon-to-be spouse, ask your church leader if he or she plans to work finances into the discussion at some point. If not, request to do so. The purpose of a marriage course is to set boundaries and identify potential obstacles ahead of time, eliminating the possibility of more serious issues down the road. If you’re uncomfortable with this topic of discussion, try enlisting the services of a mediator. They often offer more services beyond civil disputes and divorce. They’re trained in conflict resolution, so if this has been a topic you’ve broached unsuccessfully at some point, they can help you resolve it in a calm manner. If you haven’t yet talked to your future spouse about this all-important subject, he or she will likely suspect the discussion is coming. Try asking them over dinner one night if the two of you can schedule a meeting to discuss your individual finances, and decide if joining accounts is right for you both. Many couples like the idea of being well-prepared for the challenges of marriage beyond just the financial aspect. Many counselors specialize in couples therapy and can serve a similar role as that of a church leader mentioned above in helping you to navigate a constructive discussion. Visiting a couples therapist doesn’t mean your relationship is in trouble. We often see doctors for preventative care; why should your relationship be any different? Plus, as a neutral third party who will be dedicated to the health of your relationship, they can help you outline a plan that works for everyone. If you want to approach the subject of credit, but are unsure of how to do so, try asking your partner to take a financial compatibility quiz. There are many quizzes online that can help you judge your compatibility when it comes to matters of credit and how you manage your finances. This is a great way help you get on the same page with your soon-to-be spouse. There are many credit repair resources online that offer tips on giving your credit a boost before a major life event. Consider using one of these to your advantage by sending an article to your future husband or wife as a catalyst for starting the conversation. The ads and events we’re subjected to every day actually offer a perfect opportunity to introduce the topic of your current financial standing and hopes for your future together. There are certainly plenty of credit-related issues in the news and in mainstream media these days. The next time you hear a story about a credit breach or see a commercial related to obtaining a home or car loan, use this as an opportunity to start a conversation. Or next time you’re driving and see a billboard for a credit repair company, point it out and get the ball rolling. Talk to your betrothed openly about your lifetime goals and how your finances and credit will impact them. Maybe you’d like to buy a home, make different types of investments, or set yourself up to travel the world in your retirement years. Sharing these goals and dreams may prompt your partner to open up about their own financial vision for the future. Whatever comes of your discussion, make sure to end it on a good note. You’re getting married! So pop a bottle of champagne and share a toast. There’s always a reason to celebrate such a happy event and look forward to the endless possibilities the future may hold. The post 10 Ways to Approach the Credit Talk When You’re Getting Married appeared first on Credit.com. Scammers make a killing during the holiday season. While you spend your time thinking of ways to bring holiday joy to others, they spend their time thinking up ways to steal from you. The saddest part about this is that the ghosts of Christmases past keep visiting Christmas present. With that, I give you this year’s 12 scams of Christmas. While definitely a ghost of Christmas past, this still works so scammers still do it. It’s pretty simple. The thief records the numbers displayed on a gift card, and then calls the company that issued it to find out if it has been activated, which occurs when the card is purchased. The problem here is one of timing. If you buy a gift card early in the shopping season, it’s more exposed to fraud. That said, recipients of gift cards often take a while to use them. Tip: If you are going to purchase a gift card, do it as close to Christmas Day as possible, and encourage the recipient to use it as soon as possible. With the non-stop news of data breaches involving credit card numbers, many of us are walking around with compromised payment cards that can be used by a scammer, and there is no more perfect time of the year for them to try than Christmas. The usual warning signs of an account takeover, or a fraudulent charge, may be harder for financial institutions to spot, since Christmas gifts often don’t conform to a cardholder’s buying patterns. Tip: Sign up for transaction alerts from your bank or credit card issuer that notify you any time there is activity on your accounts. While it’s not exactly the way it plays out in our nation’s malls and shopping districts, Christmas is traditionally a time for contemplation and charitable giving—something captured very well in Charles Dickens’s classic, “A Christmas Carol.” So if you want to give during the holiday season, it’s crucial to make sure the appeal is real. Tip: Before responding to an online appeal, visit the website by typing in the organization’s URL manually, or by using search to find the link. If you are still unsure, call. If you are still uncomfortable, use Charity Navigator or contact the Office of the Attorney General in your state to confirm the organization’s authenticity. Holiday jobs are a good way to make some extra money, and there are a lot of them, but bear in mind there are myriad scammers out there who may offer fake jobs to harvest your very real personally identifiable information—the most valuable of which being your Social Security number. You might receive a phone call, a text or an email. It doesn’t matter what the delivery system is, it’s a fraud but it won’t necessarily look like one. It could look like a sales promotion from a brand you like, or an offer on a deal that seems too good to be true, or even just “pretty good.” Scam artists can be very nuanced. Be on the alert before you act on any offer. Tips: Check to see the URL matches exactly, and that you never provide any personal information on any web page unless the URL is secure and starts with “https.” Email links should always be considered suspect. The holidays can be lonely, and catphishers know that. Love scams are the worst, as they prey on the emotions in the most exploitative ways disarming the heartstrings with an eye to loosening purse strings. The money lost can be considerable, and the upset unfathomable. Tip: As corny as it seems, be careful with your heart and don’t give it away to just anyone. If you feel like you’re falling for someone and they somehow can never make an in-person appearance, don’t send them money to do so. You can do better. Tip: Assume the worst when in unfamiliar territory, and be on guard when traveling. Always distrust. Always verify. This is a tough one, but here’s the deal… Bargain? Amazing prices on things that should cost a lot more than they are asking on a fake online shop is alluring, which is why people fall for them all the time. Pop up shops are cool, but they may not always be legit. Tip: Look at the About Us page and call the designated contact number. If there is no number, think twice before making a purchase. Also pay attention to detail. Are there spelling errors in the copy? Bad-looking stock photos? Look for trouble. We all appreciate the sentiment behind an e-card, but that should not outweigh the risk of malware that can take a computer hostage or record every keystroke so that your most sensitive credentials for financial accounts can be stolen. E-cards are a popular form of fraud among scam artists, and you should be very cautious when you receive one. Tip: Email, call or text the sender and ask if they sent an e-card. In this environment of constant attack, they will understand (and if they don’t, your Christmas present to them can be forwarding this column). This scam is built for people old enough to remember a physical, printed voucher, which, presented in person at a brick and mortar store, would get you a discount. They were basically a coupon. E-vouchers are fine if they come in the form of a number sequence, discount code or keyword, but anything else should be considered suspect. Tip: Be on the lookout for grammar or spelling errors. Always type in the URL of the site for which you have an e-voucher, and enter the code or number there. If it comes by way of text or email and it involves a link, don’t click through. What could be worse than a message from your favorite e-tailer letting you know that the must-have item you ordered is out of stock or was sent to the wrong address. Another oldie but goodie among thieves is a notice informing you that the “Item has been delivered” when it hasn’t been. Tip: Never click any link associated with this type of communication. Always log onto the e-tailer site for more information, or pick up your phone and call. Online wish lists are a bad practice that should be discouraged. In theory, the online wish list creates a place where friends and relatives can find out what you want for Christmas, which many find preferable to guesswork. Beyond being horribly transactional, the practice opens the list-maker to phishing attacks, since scam artists will automatically know what interests you. Tip: If you must post a wish list online, custom set the privacy on the post so that only particular people can see it, and don’t include any personally identifiable information. At Christmas it’s always better to give the gift, than be the gift that keeps on giving to identity thieves. If your personal information does fall into the hands of a scammer, be sure to monitor your credit for signs of identity theft. You can do so by viewing your free credit report snapshot, updated every 14 days, on Credit.com. The post The 12 Scams of Christmas for 2017 appeared first on Credit.com. It’s certainly not impossible, though. Look for reputable debt consolidation companies that will work for your specific situation. 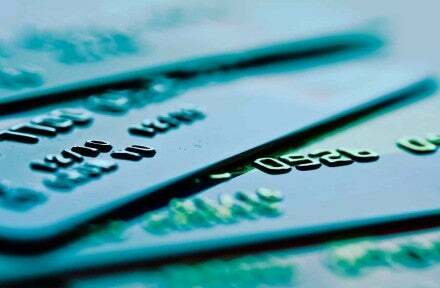 Effect on Your Credit: Consolidating credit cards with high balances using an installment loan (i.e. a loan with fixed monthly payments) may actually benefit your credit rating, especially if you use the loan to pay off credit cards that are near their limits. At the same time, any new loan can cause a short-term dip in your credit scores—so don’t be too surprised if you see your credit score change slightly when taking out a new loan. Paying down debt can have a tremendous impact on your credit scores. According to FICO, the company behind most of the credit scores used by lenders, consumers with high credit scores (e.g. 785 and above), tend to keep their balances low. Specifically, two-thirds of consumers with good credit carry less than $8,500 in non-mortgage debt, and they use an average of 7% of their available credit on their credit cards. The post Will Debt Consolidation Help or Hurt Your Credit? appeared first on Credit.com. Why should you monitor your credit? Well, because bad credit can cost you thousands. Think about it—the higher your credit score, the lower interest rate you’ll have on loans (home, auto, etc. ), and you’ll end up saving thousands of dollars. However, the time to monitor your credit score is now, not a month before applying for a loan to buy your dream home. So where does one start monitoring their credit? Great question. Here are 10 steps to monitor your credit. Go to AnnualCreditReport.com and request a free credit report. And don’t worry, it really is free (at least from this website). Some people don’t know it, but everyone’s entitled to a free credit report from each of the three major credit bureaus (TransUnion, EquiFax, and Experian) once every twelve months. Once you receive your free credit report (see previous point), check for any inaccuracies or errors. You might find incorrect information about yourself (addresses, phone numbers, etc.) or an account you don’t recognize. If you do find an inaccuracy or error, you can check for instructions in the report on how to inform the credit bureau. If you haven’t started already, now is the time to take measures against would-be identity thieves who can sabotage your credit score and finances. For example, if you use the same password for everything you do online—”Password123” is not acceptable—you’ll want to up your password game by creating unique logins for every site you frequent, using anti-virus software, and being cautious about what you share online. Be careful about what you throw away. Identity thieves can get to your credit by using sensitive information found in your trash, such as bank statements, medical bills, etc. Also, watch out for scammy phone calls or texts asking for personal information. Protecting your identity offline is just as important as protecting it online. If you currently don’t have an easy way to see your money all in one place, you might want to check out a service like Mint.com, which can provide you with a high-level overview of all your accounts and even help track your credit score. If you know what’s happening in your accounts, it’s easier to spot anything suspicious and stay on top of your credit. If you’re not the type to review your credit card accounts on a regular basis, you’ll want to change your ways in order to properly monitor your credit. You can set yourself a weekly reminder to review your charges and balances, and if you do find anything suspicious, report it immediately. Some people don’t realize they may already have some form of free, basic credit monitoring. For example, AAA includes free credit monitoring service for members, and many credit card companies, such as Chase, offer free FICO credit scores for cardholders. So why not make credit monitoring easier on yourself by checking if you have some perks you’re not using? The Equifax hack is old news at this point, but that doesn’t mean you’re out of the woods. The personal information of more than 145 million US consumers was compromised, which is almost one out of every two Americans. You can go to equifaxsecurity2017.com to see if you’re one of the many impacted. If you’re indeed one of the hundred of millions of victims, all the more reason to stay on top of monitoring your credit to thwart identity thieves. Monitoring credit is definitely not fun, but that doesn’t mean it can’t be rewarding. If you’re having difficulty keeping up with all of your responsibilities and watching your credit, find a way to reward yourself for doing well (treat yo self!). The last step in monitoring your credit is as simple as staying informed and watching your credit score. If you’re monitoring your credit, you might also want to check out what it takes to build good credit. You can be the one friend who’s always informed and in the know when it comes to credit. The post 10 Steps to Monitor Your Credit appeared first on Credit.com. Finding a mistake on your credit report can be frustrating. Unfortunately, according to a Credit.com survey of credit report awareness, one in five consumers (21%) who have seen their credit reports say they found inaccurate information on their reports. Not only is that a lot of frustration, but the error may also have a negative impact on your credit score. Submitting a credit dispute is the first step in the process of correcting inaccurate information and improving your score. But what comes next? How do credit bureaus fix the error? What effect does a dispute have on your credit score? Here’s the whole story on what happens when you submit a credit report dispute. There are two ways to dispute an inaccuracy on your credit report. Go directly to the furnisher to dispute the error: You can contact the furnisher (the creditor furnishing the data to the credit bureau) directly to dispute the incorrect data on your credit report. If the furnisher finds the information to be inaccurate, it will correct the error and notify all three Credit Reporting Agencies (CRAs) of the discrepancy. If there is no resolution and you still feel there is a mistake on your report, the furnisher will inform the CRAs that the account is in dispute. Dispute the error with the credit reporting agency: You can also file a dispute through the CRA that has the inaccuracy on its report. Each one—Experian, Equifax, and TransUnion—has its own submission process for disputes. Once a dispute is submitted to a CRA, an investigation process starts. If you include enough documentation when you submit a dispute through a CRA, the agency will resolve the error on your report. If additional information is needed, the agency you submitted the dispute to is required to initiate an investigation (unless your dispute is considered “frivolous”). When the CRA investigates, the agency forwards relevant information about your dispute to the creditor. Under the Fair Credit Reporting Act (FCRA), the creditor must then investigate the claim and report its results back to the credit reporting agency. If the information is found to be inaccurate, the furnisher must submit corrections to all three credit reporting agencies. Confirm with the CRA to find out if you need to continue making payments while in the dispute process. Each CRA has its own policies and procedures for investigations. While disputed information is being reviewed by a credit bureau, it is not typically labeled as “disputed” on your credit report. When you file a credit dispute with Experian, the agency reaches out to the furnisher and gives it 30 days from the date you submitted your request to respond back. For Maine residents, the time frame is 21 days. When the agency receives a response, Experian will notify you of the results of the investigation. If it does not get a response in the allotted time, Experian will correct the disputed information as you requested or delete the disputed information. During the investigation process, Experian does not add a comment, note, or any other indication of a dispute on your credit report. TransUnion usually finishes an investigation and provides you the results about 30 days from the receipt of your dispute—but the company recommends preparing for up to 45 days. When a customer contacts the agency directly, it does not add an “in dispute” comment to their credit report. It is your right to dispute information that you believe to be inaccurate on your credit report. The overall process for disputing inaccurate information with creditors is similar to that of disputing information with the CRAs, but with one important difference: if you dispute an item directly with the furnisher, it will very likely be noted as “disputed” on your credit report for potential lenders to see. Once you submit a dispute, the creditor has a duty to investigate your claim, according to the FCRA. In most cases, the creditor is expected to respond to your claim within 30 to 45 days and to inform you of the results of its investigation within five business days. The creditor must notify the credit reporting agencies that you have disputed information, and, if it finds that the information is indeed incorrect, it must promptly provide accurate information to the reporting agencies. If you have received notice that the creditor agrees with your dispute, send a copy of that documentation to the CRAs that reported the information to ensure it gets updated. Negative information on your credit report brings down your credit score. But whether an account is listed as “disputed” or not could also have an effect on your credit score. When an account is documented as disputed, “it is temporarily excluded from consideration by the VantageScore model,” explains Jeff Richardson, spokesperson with VantageScore. Similarly, “the FICO Score algorithm excludes account activity that is in dispute,” says FICO spokesperson Jeffrey Scott. Unfortunately, the dispute process has been abused. Consumers will sometimes dispute an item that is negative but accurate, then quickly apply for credit, hoping the application will be approved while that information is under dispute and not recognized by the credit scoring model. If you’re thinking of trying that approach, be careful: It could backfire. Disputing inaccurate credit report items sounds like it would always be a positive thing, but it is important to recognize that there can be downsides to disputing an item—especially while you are trying to get a loan. Positive information can also be affected: “A consumer could possibly see a decline in his or her score because they would also not receive the positive impact of the account’s age, history, credit availability, or on-time payments,” Richardson points out. You may not be able to get a mortgage: Challenging a mistake while you are trying to get a home loan can hold up your loan. Lenders often will not close a mortgage until the dispute notation is removed. It may be best to wait to dispute incorrect data until after you close a mortgage. The good news is that most disputes are processed quickly—in less than two weeks, says Griffin—and once the investigation is complete, the item should no longer be listed as disputed. If it’s not, the consumer can request the “under dispute” notation be removed. “If the credit report indicates the dispute has been resolved and/or closed, the account activity will be treated just like all other account activity,” Scott says. If you have disputed information that is found to be accurate, time is the only thing that can remove that negative information from your credit report. In most cases, negative information stays on your report for 7 to 10 years. Either way, to dispute a mistake on your credit report, you have to know there is one. You can get your credit reports for free at Credit.com and find out how the information they contain affects your credit by checking your credit scores. You can get your credit scores, which are updated monthly, for free on Credit.com. If you discover your credit report contains erroneous information, dispute it—but give yourself plenty of time to get the item(s) corrected and the dispute resolved before you apply for a mortgage, car loan, or credit card. The post What Happens When You Submit a Credit Report Dispute appeared first on Credit.com.